Written by Dr. Gaurang Gupta and medically reviewed by iCliniq medical review team. Many patients and friends constantly ask me what to do to make their skin fair. There are some differences between the skin of a man and a woman. First, one-third part of the men's face is covered with coarse facial hair and second, there is more outdoor activity in case of men. Men's skin is a bit thicker due to high androgen hormones, but basic structure of skin is the same. My first suggestion is, do not be fooled by advertisements in television. There is nothing extra in creams made for men. 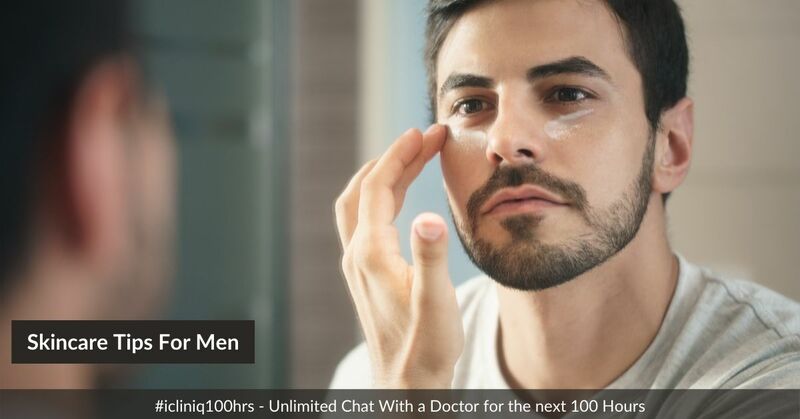 Now, let us see the skin care tips that men should follow. As all of us know men are involved in outdoor activity more than women, exposure to sun is also more than women. So, every man should use sunscreen regularly. Too much outdoor activity causes exposure to dirt and pollution particles. These particles close the pores of the skin and cause acne and pimple. So, once you come home, immediately wash your face with good face wash. It will help you certainly. I would suggest avoid shaving as much as you can, because continuous rubbing of skin with blade causes darkening and hardening of that area. So, according to me, trimming the beard and mustache is a better option than shaving. Soon after you shave, always use after shave lotion or liquid. It will smoothen the skin and make it soft. Please try to avoid alcohol containing after shave, because alcohol causes dehydration of skin. Many people have different opinion, but according to me hair oil can cause acne. So, use it minimally. Being a dermatologist, I would suggest that any beauty and skin care tips which are useful for women are also useful and effective for men. Do you have a question on Skin Care or Sunscreen?